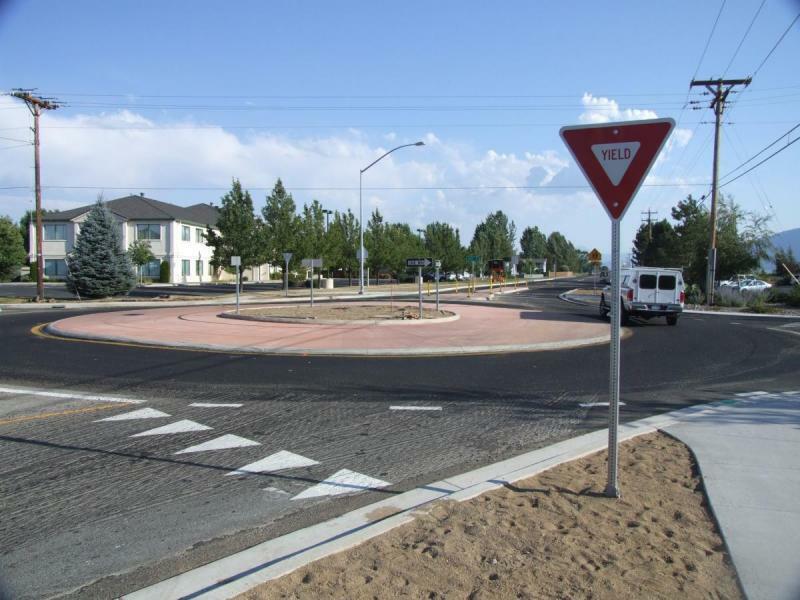 Construction on the Minden Roundabout is nearing completion. The roundabout itself is finished, as are all the signs. All they have to do is put a final top coat of asphalt and paint new stripes on the road, and the traffic cones should be coming down. Just in time for school to start, just like they promised. Does this look like a question mark to you too? Tricia Schodowski gave up her crusade to stop them from working at night, but now that they’re almost done she should be able to move back into her bedroom and get a good night’s sleep once again. 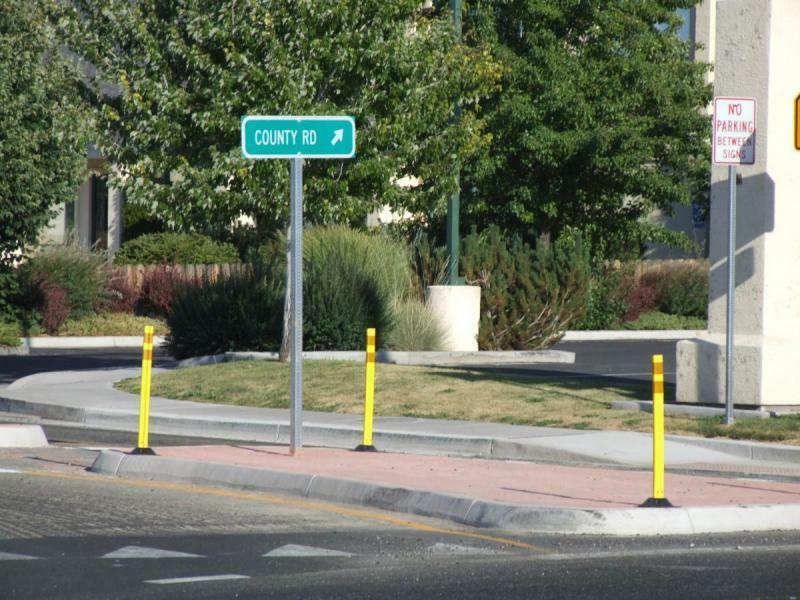 And now the grand experiment will begin, to see if roundabouts really are better than traffic signals for the residents of Carson Valley. 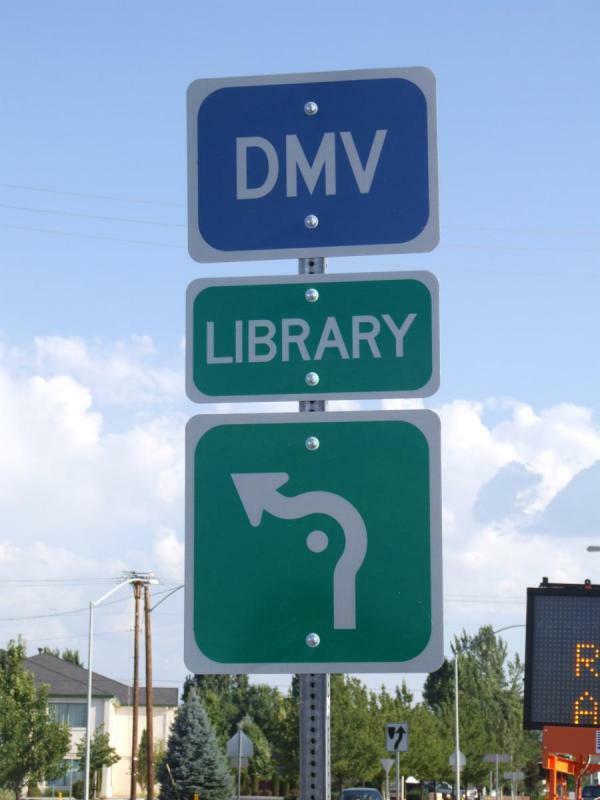 NDoT is going to make us find out whether we want to or not. I have had the pleasure of traveling the new roundabout as I head to work on county road. Pleasure is not quite the word I am searching for. Slightly terrifying would be more like it. I’m quite certain few people understand the rules of engagement and right of way in a roundabout so that each time I enter from 88 to swing past oncoming traffic into county road I am holding my breath wondering if anyone coming up on the roundabout is going to careen right into me. Whee, that and some caffeine will wake you up for the day to come.